Turn to Parking Lot Services for top-quality line striping and related services. It is important to have bright lines and safety markings to promote parking lot safety. (After all, a significant portion of all traffic accidents occurs in parking lots.) Our professional staff can take care of line striping and related asphalt maintenance requirements for you with unmatched efficiency. Line Striping is the vernacular for a range of Pavement Marking services that include other asphalt paving maintenance tasks. In addition to line striping, this grouping includes these related services: ADA compliance, traffic signage, traffic flow markings, curb painting, curb stenciling, and new parking lot layout. 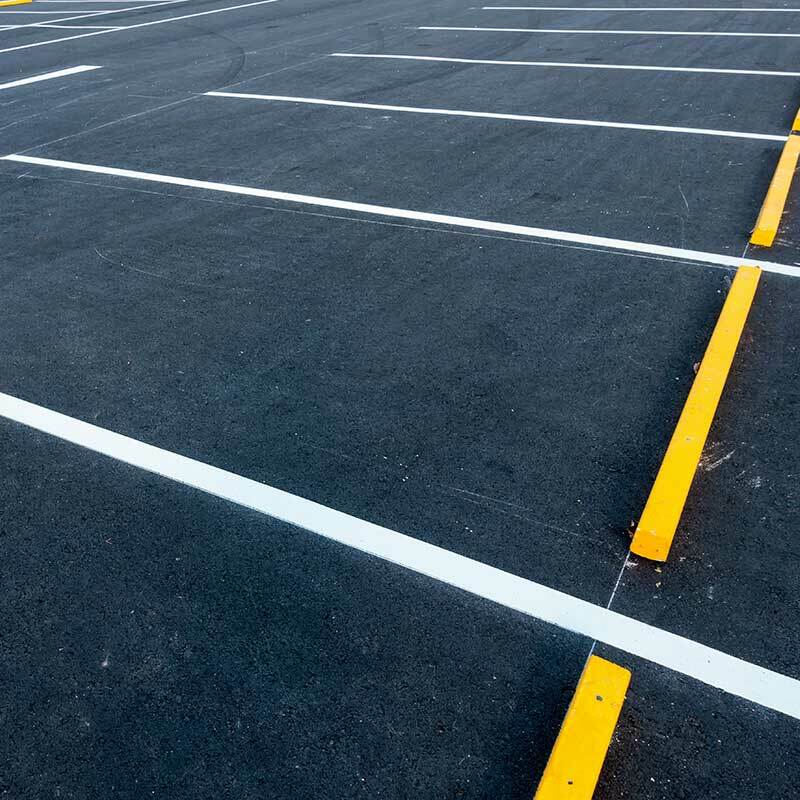 Line striping is part of periodic parking lot maintenance with or without other services like asphalt crack repair, curb repair, catch basin repair, repaving and seal coating. Often parking lot lights need repairing at the same time, as lines need refreshing. Parking Lot Services is a one-stop paving contractor serving Northern and Central NJ. We have over 20 years experience helping countless Northern and Central NJ businesses in many industries enhance customer experience by improving the condition of their driveways and parking lots. One of our key paving contractor services is line striping and parking lot layout to allow better and safer vehicle and pedestrian traffic flow. A clearly marked and well laid out parking lot makes getting in and out easier and faster, while also contributing to safety. We’ll also make sure you are ADA compliant. We can create a better, clearer layout and achieve the right results for your property. Let us make sure you’ll be leaving a good first impression on your visitors when they see the fresh line striping. Those who use your parking lot will know you care about your business. It takes several steps to achieve quality line striping results that lasts. One is making sure that the asphalt is as clean of dirt and sand as possible so the line striping paint can adhere. That’s why it’s best to line stripe after fresh sealcoat has dried or cured. Because of this curing period, we schedule each project carefully to work around your schedule and produce the least disruption to your business and visitors. If the lines are just faded and you just need the line striping renewed, it’s important to sweep the parking lot thoroughly. The quality and type of the paint is also critical. We use Sherwin-Williams brand of paint made especially for line striping. When we are refreshing the lines, we use oil based paint because it adheres better to the old paint. But, if there is fresh sealcoat covering the old paint, we use water based paint. The goal is to do an excellent job that produces lasting bright lines and letters. Of course, the skill of the line-striping operator determines how clean the lines are. The experience of our staff coupled with some of the industry’s best equipment and materials guarantees impressive results. Our dedication to customer satisfaction drives our team to meet the deadline and to stay within the budget as agreed. 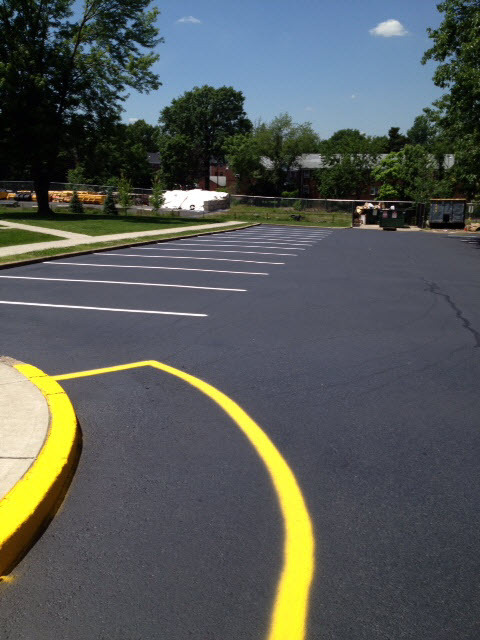 Contact Parking Lot Services today for a cost-effective line striping and other paving contractor services throughout Northern and Central New Jersey.